This is a ca. 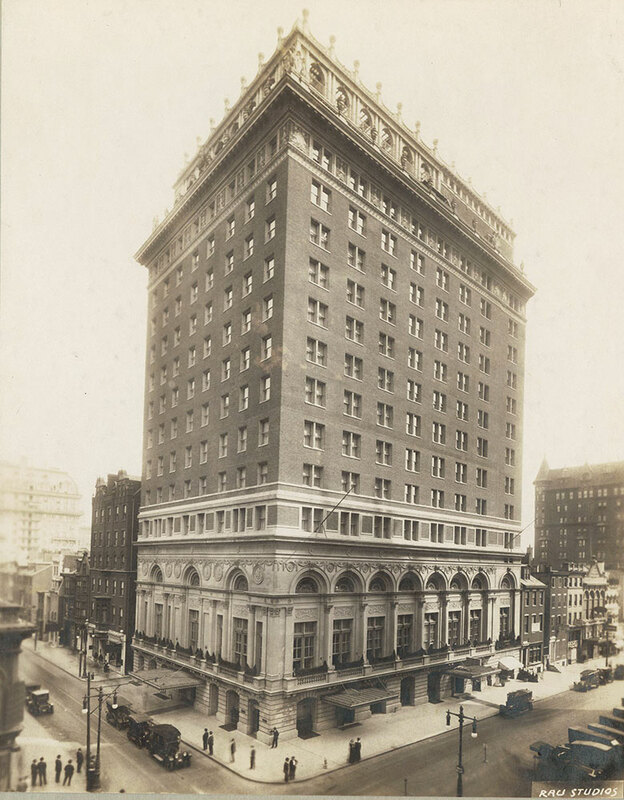 1914 photograph of the original Ritz-Carlton Philadelphia Hotel, designed by Horace Trumbauer and located at the SE corner of Broad & Walnut Streets. The building was completed in 1912, but quickly became so popular, that an immediate expansion to double its original size was completed in 1914, as seen in this image. It was one of the most luxurious hotels in Philadelphia for many years. As an interesting side note, the first NFL draft took place at the Ritz-Carlton, on February 8-9, 1936. It was the brainchild of deBenneville "Bert" Bell, the owner of the Eagles since 1933, and manager of his family’s Ritz-Carlton Hotel at the time.